The information age has resulted in the bombardment of consumers with too much information. As a result of this, it has been reported that attention spans are increasingly becoming shorter. Most of us have lost the art of reading. Instead, we have adopted the habit of scrolling through information in search of what we consider important. This often happens when candidates are going through a job posting. Based on the applications and resumes we have received over the years, it is not hard to see that most candidates spend less than a minute reading through a job posting before hitting the “ Apply” button. As a result of this approach, most candidates miss out on opportunities that they are qualified for. It sounds obvious, right? It is right there in front of you. It is in bold font. Most candidates still miss out on it. If you are applying for a job via email, make the job title the subject of your email. Make it the filename of your resume before you send your resume. At any given moment, recruiters have to sift through hundreds of resumes as they seek candidates for various jobs. Make your application and your resume stand out of the crowd by demonstrating that you know the position you are seeking. Should the job application you are about to send be addressed to a recruiter or human resource manager at a particular organization? Knowing the recruiter’s name is important as it will help you customize your application appropriately. In some job postings, the title of the person you will be reporting to will be included in the job description. For instance, a marketing manager may be reporting directly to the chief operations officer. Before you send your application, try and find out some information about the person you will be reporting to through professional networks. If you are applying via email, can you learn anything from the address? It is not uncommon for con artists seeking to fleece desperate job seekers to create dummy accounts using Gmail or Yahoo so be on the lookout for such email addresses. A legit job posting from a credible organization will not mention the name of the person you will be reporting to. It will also include the name of the organization. For instance, if you are applying for the position of an intern at XYZ fashion, the job posting will state that all applications should be addressed to: recruitment@xyzfashion.com. Job postings will include instructions on how to apply for a particular position. If an organization is seeking a photographer who must include a sample of his work, ignoring these instructions will dim your chances. In some job postings, candidates may be required to include the job title and a reference number in the subject line. Adhering to such instructions gives you an edge over the other candidates. It also shows that you pay attention to details and you can follow instructions. What are the skills that are required for the job? What are the academic qualifications required for the job? What are the roles and responsibilities you will be required to carry out as part of your job? Your answers to these questions should shape your application. Most recruiters use software that sifts through applications based on relevance. 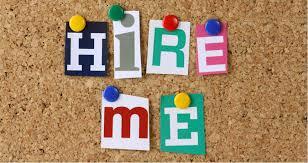 The relevance is based on specific keywords that the employer wants to see in your application. When writing your resume, avoid making it too long even if you have the professional experience and academic qualifications that would make it long. Most recruiters do not have the time to read through a novel. Instead, make it about two pages long with key highlights. Most organizations will clearly spell out the qualifications that are required for a particular job and the skills that are relevant to that role. Do not worry if you do not have some of the skills. For instance, a job may require a candidate with five years of experience yet you only have three years of experience in a similar role. Highlight your achievements in those three years. Demonstrating that you have the ability to deliver results could actually make you stand out. As a candidate, you need to spend a little more time reading the job posting before sending your application. The clues you need are often tailored into the job posting. All the best in your search! We at Crystal Recruitment work with candidates by connecting them to great career opportunities with Potential Employers. Reach out to us via Email and let us talk about your next career move. A good work ethic is characterized by good prioritization skills, punctuality, consistency and commitment to continuous improvement. An employee who is always rushing to beat the deadline is a poor manager of his or her time and lacks the ability to prioritize. An employee who burns the midnight oil in the office is not necessarily the most productive employee. Research is increasingly pointing towards the need for productivity at work instead of long working hours. Sweden led the way a few years ago with an experiment on the effect of a 6-hour working week. Toyota services in Gothenburg switched to a six-hour working week about 13 years ago and reported that the employees were happier and more productive as a result of this shift. Your organization may not be in a position to make the working day shorter but it should encourage a culture of balance. Workers should work within reasonable working hours and be rewarded for respecting the limits of the working day and meeting their targets within those limits. They are oriented towards solutions to problems within the organization. It is often stated that there are two types of people in the world: those who create problems and those who solve problems. An employee who works towards solving problems regardless of their position should be given an opportunity to exercise his or her problem-solving abilities. One’s ability to solve problems is often evidenced by creative thinking, eagerness to learn and implement new ideas and the ability to ask the right questions. Your organization should foster an environment in which employees can thrive as they solve day to day problems that are being encountered by the organization. A valuable employee does not always have the right answers to problems but he or she is willing to consider the possibilities and explore them. An employee who is ready for a promotion easily earns the trust and the respect of co-workers through their diligence, ability to work with others and the support that they offer to others in the process of working with them. An employee who has already earned the respect of his or her co-workers will thrive when he or she is given more responsibilities since he or she will lead others towards the attainment of organizational goals. In addition to this, he or she will foster a culture of collaboration thereby minimizing the effect of toxic competition within the team. Progress, not perfection is one of the key elements you should consider before promoting an employee. An employee who is ready for a promotion takes responsibility for his/her actions at work and has a clear sense of direction for the progression of his/her career. In every organization, decisions are made concerning the day to day running of the organization. An employee who is ready for a promotion makes decisions based on the company’s vision and goals. They have the company’s best interests at heart. Whenever such an employee makes a mistake, he/she does not shut down. They own up, learn from it and moves forward. There are very few employees who ask for feedback and actually consider it. If a member of your team is eager to get feedback and consider it, take note of their ability to listen to others. An employee who is keen on their current performance level, what they need to improve and what they need to do in a different way is not only capable of taking initiative but is also keen on growing beyond their current role. An employee who is keen on being promoted is not afraid of sharing knowledge with his or her colleagues. Such an employee will be enthusiastic about training new employees in addition to sharing the knowledge they have acquired in some aspects of the job with their team members. Sharing knowledge is an indication that the employee cares about the growth of others as well as his. Such employees also actively seek out opportunities to gain knowledge that will help them improve in their areas of weakness. They seek out resources from other departments and try out new ideas. At Crystal Recruitment, we make it our business to find the right talent for your company as we are a leading Recruitment Agency in Kenya. Talk to us today and let us help you find the right talent. We endeavor to work with candidates who have such qualities.